And I'm not talking about Christmas. 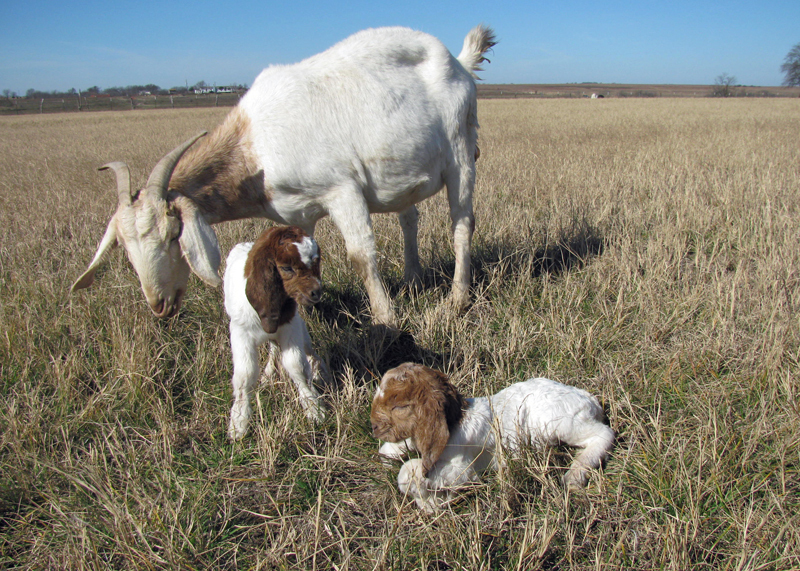 Here on the Hay Farm, the most wonderful time of the year is when the baby goats start arriving! There are six here so far. Three boys and three girls. A seventh baby was lost. It's mama was new and the kid was too large for her to deliver. We think the mama will be fine, though. These two were just born this morning. One boy and one girl. They have the absolute cutest faces! I love to snuggle with the new babies! So far, all six are healthy and eating. They all have great mamas. 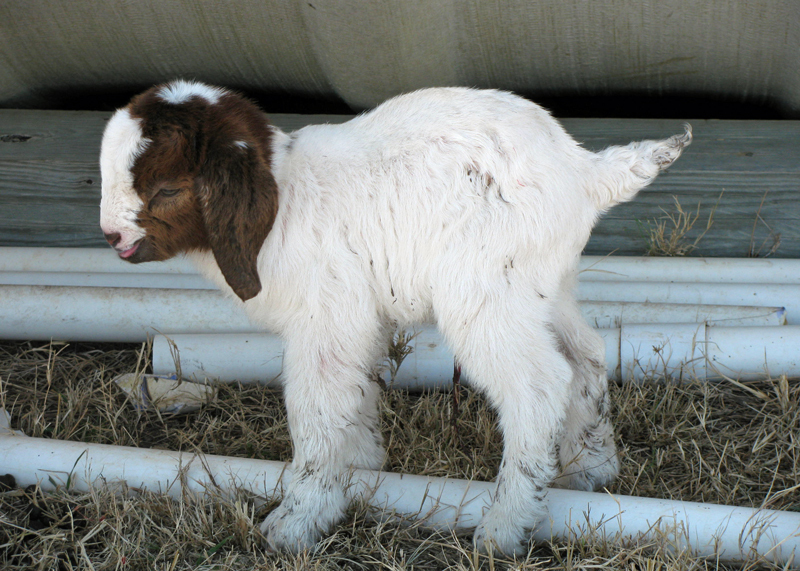 I'm keeping my fingers crossed that we don't have any goat 9-1-1 this year! Awww, they are SO cute! I wouldn't be able to resist snuggling with the new kids, either! Sorry, I hit enter and it published my comment before I was through! I'm visiting from SITS today. Oh my gosh, my kids and I are so in love with these cute babies! They are so adorable. I hope they continue to be healthy and happy! I'm a Christian, wife, momma to 3, maid, chef, taxi driver, and amateur vet. Our family lives in the country on the edge of the city and has a very full life. The farm is on Facebook! Hey! I think you missed some of these! Rejoice in the Lord always. I will say it again: Rejoice! Let your gentleness be evident to all. The Lord is near. Do not be anxious about anything, but in everything, by prayer and petition, with thanksgiving, present your requests to God. And the peace of God, which transcends all understanding, will guard your hearts and your minds in Christ Jesus.